The national media wants to paint this as the "Anthony Davis Playoff Series." Damian Lillard may have a bone to pick with that. Davis was selected first in the 2012 NBA Draft, but Damian Lillard was selected sixth and went on to win the 2012-13 NBA Rookie of the Year. The Blazers and Pelicans square off in the first round of the 2018 NBA Playoffs. The Blazers, having earned the third seed in the Western Conference, will have home court advantage in the series. 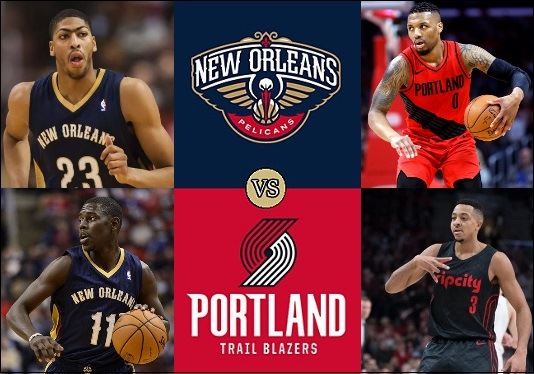 The Blazers are making their fifth straight playoff appearance and the Pelicans are in the playoffs for the first time since 2004. The Pelicans began their NBA tenure as the Charlotte Hornets and started playing in the 1988-89 season. They relocated to New Orleans prior to the 2002-03 season, and were rebranded as the Pelicans for beginning the 2013-14 season. The name was meant to bring a more local reference to the New Orleans area. The New Orleans Jazz were founded in 1974, but moved to Salt Lake City, Utah in 1979 and kept the name. The Charlotte Bobcats, which were founded in 2004, took back the name Hornets following the rebranding of the Pelicans. The current Charlotte Hornets are credited with the original Hornets history. Following the destruction to the area by Hurricane Katrina in 2005, the team temporarily played its home games in Oklahoma City for two seasons. 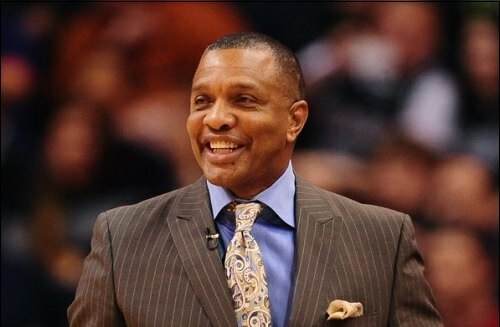 Alvin Gentry is in his third season as head coach of the Pelicans, compiling a 64-100 record during his time there. Former Seattle SuperSonics player Paul Silas was the first head coach in Hornets/Pelicans history. He also went on to serve as the head coach of the current Charlotte Hornets from 2010 to 2012. The Blazers were founded in 1970 and are the first of the 1970-71 expansion teams to win an NBA Championship, which they earned in 1977. They played in the NBA Finals again in 1990 and 1992, but were defeated by the Detroit Pistons and Chicago Bulls, respectively. The Cleveland Cavaliers won their first championship in 2015-16. The third expansion team from that year, the Buffalo Braves, relocated to San Diego and then to Los Angeles as the Clippers and have yet to win an NBA title. The Blazers have been located in Portland during their entire 48-year tenure in the NBA. Damian Lillard is the fourth Blazer to have been awarded NBA Rookie of the Year honors, winning unanimously following the 2012-13 season. The other Blazers to have that honor are Geoff Petrie (1970-71), Sydney Wicks (1971-72) and Brandon Roy (2006-07). The Blazers have qualified for the playoffs in 34 of their 48 seasons, including a 21-year streak from 1977 to 1997. 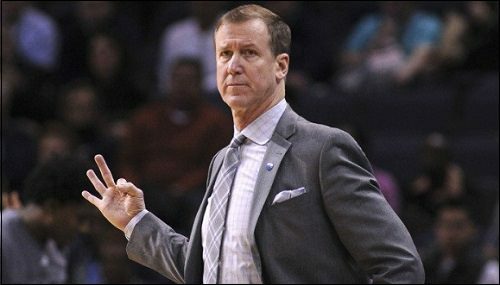 Former Atlanta Hawks and Milwaukee Bucks head coach Terry Stotts is in his sixth season at the helm of the Blazers. He has a 272-220 regular season record and is 11-20 in the playoffs with the team. The following is the schedule for the series, along with the national television broadcast information. Pelicans games will be broadcast on the radio on WRNO 99.5 FM, and will be broadcast in the local area on Fox Sports New Orleans. Trail Blazers games will broadcast on the radio on Rip City Radio 620, and television broadcasts will be televised on NBC Sports Northwest. 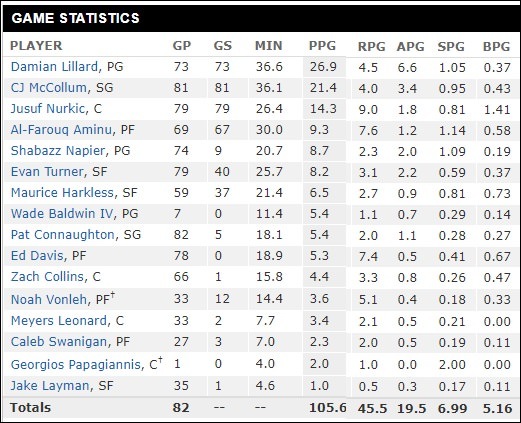 All times are pacific (Blazers); add two hours for central time zone (Pelicans). Pelicans - 48-34 overall; 24-17 home; 24-17 road (6th in Western Conference; 2nd in Southwest Division). Blazers - 49-33 overall; 28-13 home; 21-10 road (3rd in Western Conference; 1st in Northwest Division). 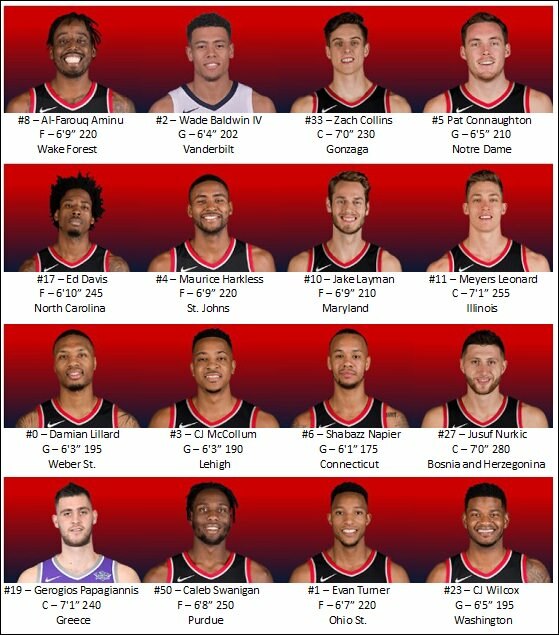 - While Anthony Davis was selected first overall in the 2012 NBA Draft, the Blazers have three of the top 15 picks in that draft on their roster. Point guard Damian Lillard was selected sixth and center-forward Meyers Leonard 11th by the Blazer. Maurice Harkless was selected 15th overall by the Orlando Magic, and was traded to Portland during the 2015 off season. - This is the first time in the history of both franchises that they have met in the playoffs. 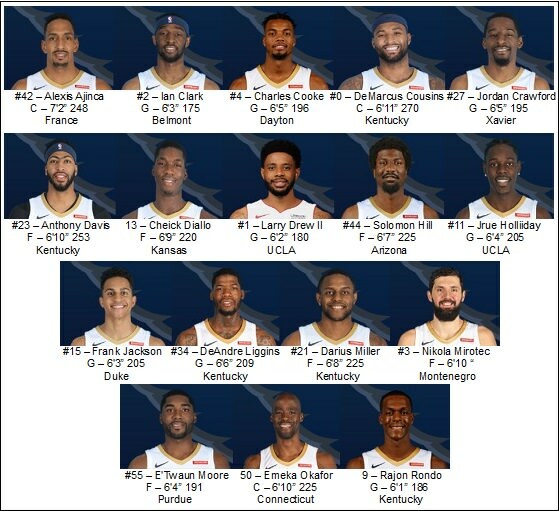 - The Pelicans have five players who played for the University of Kentucky on their roster. 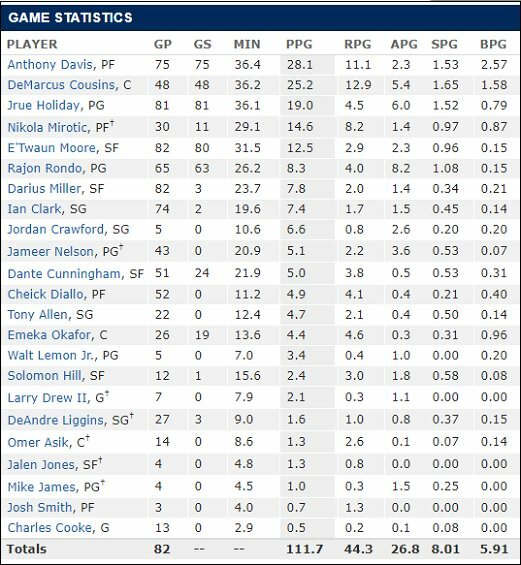 That is the most players from one school on any single NBA roster. All times Pacific. Home team in series is first one listed in series header.